Eric Chenaux "Amazing Backgrounds" from Constellation Records on Vimeo. 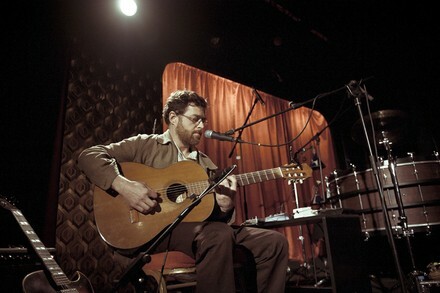 In Eric Chenaux's hands, a nylon-stringed guitar is transformed into a misshapen choir of gauzy ideas, multiple, sonorous voices and harmonious drainage melodies, all of which bounce off the roughly-hewn walls of a dimly lit catacomb, briefly flickering into life before being snuffed out again by a gust of wind. Chenaux's penchant for enormous possibility and free-form expression stretch well beyond the confines of his "folk" home genre.